Tickets available in the New Room shop, on Eventbrite (online booking fee applies), or on the door. Adult £14 / £12 Advance. Concessions £12 / £10 Advance. Thursday 21st June, 7.30pm (doors 7pm, cafe open from 6.30pm) – Unreserved seating. 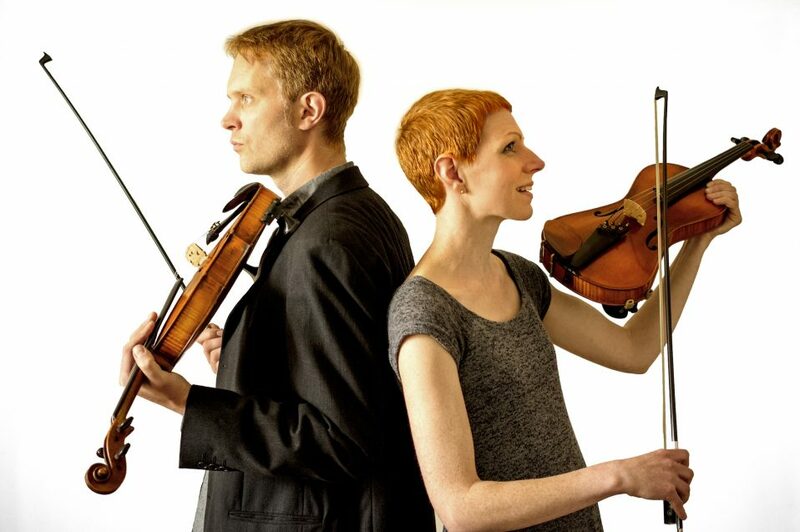 Two of the West Country’s finest fiddle-players join forces to form this fabulous duo with a stunning new take on English traditional music and song. Melodic, emotive violin and viola blend with driving fiddle chords and powerful vocals to create a rich, captivating sound. Nick Wyke & Becki Driscoll have worked and recorded with many of the leading lights of the folk world, most recently touring as part of the Jim Causley trio. Their music will take you from the darker side of English ballad to toe-tapping dance tunes, all performed with amazing skill and an intimate connection with the audience.